Portrait of Gene Tierney. Image available on the Internet and included in accordance with Title 17 U.S.C. Section 107. 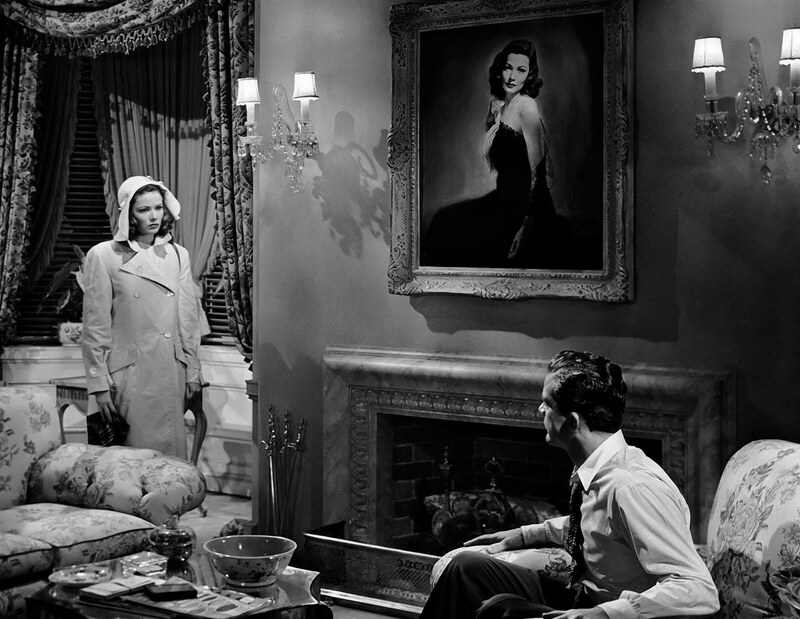 Gene Tierney with co-star Dana Andrews in a still from the movie Laura, 1944. Image available on the Internet and included in accordance with Title 17 U.S.C. Section 107. Gene Tierney and co-star Rex Harrison in a still from The Ghost and Mrs. Muir, 1947. Image available on the Internet and included in accordance with Title 17 U.S.C. Section 107. 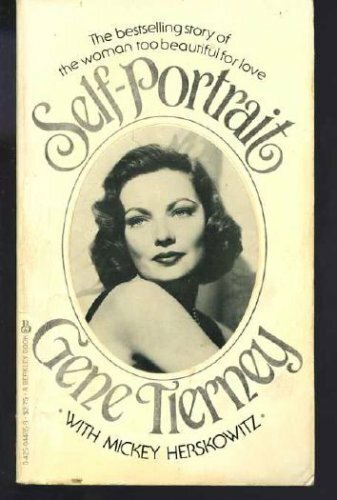 Gene Tierney's Self-Portrait. Image available on the Internet and included in accordance with Title 17 U.S.C. Section 107. TIERNEY, GENE (1920–1991). Gene Tierney, movie star, was born in Brooklyn, New York, on November 20, 1920, the daughter of Howard S. and Belle Taylor Tierney. Her father, a successful insurance broker, and her mother were wealthy socialites, and as a child Tierney enjoyed a privileged life that included private schools in Connecticut and finishing school in Switzerland. After completing her schooling, where she had exhibited some interest in acting, Tierney earned a supporting part in the Broadway comedy Ring Two in 1939. In the early 1940s she went to Hollywood and established herself as a star for 20th Century Fox, usually playing elegant social characters. Her early films included The Return of Frank James (1940), Belle Star (1941), and Heaven Can Wait (1943). It was, however, her 1944 portrayal of the title character in the murder mystery Laura that established Tierney as a major screen star. In this movie she played a high-society woman who is an apparent murder victim and with whom a police detective, played by Dana Andrews, falls in love through her pictures. Two years after this movie, Tierney was nominated for an Academy Award for her melodramatic role as a self-centered woman who commits suicide in Leave Her to Heaven (1945). Tierney exuded a patrician air and was strikingly attractive, causing some critics to suggest that her acting did not live up to her presence. But others found her a refreshingly direct actor, and she enjoyed continued success throughout the 1940s and 1950s in such movies as The Razor's Edge (1946); The Ghost and Mrs. Muir (1947), in which she costarred with Rex Harrison; and The Left Hand of God (1955). While Tierney enjoyed professional success during her years as a screen star, tragedy struck in her personal life. In 1943, while married to designer Oleg Cassini, she gave birth to a severely brain-damaged daughter. She and Cassini had another daughter in 1948, but the couple divorced four years later. In 1955 Tierney left Hollywood, suffering from stress and depression, and became a patient at the Menninger Clinic in Topeka, Kansas. She was determined to regain a happy life, and in 1960 she married W. Howard Lee, a Houston oil executive and the former husband of Hedy Lamarr. She joined Lee in Texas, where she lived for the next thirty-one years. After her marriage she made a few more movies, including Advise and Consent in 1962 and The Pleasure Seekers in 1965, but subsequently, with more than thirty movie credits to her name, she retired permanently from films. Tierney later made a few television appearances but spent most of her time traveling with her husband and participating in civic and charitable causes in Houston, a life she said was preferable to her years of Hollywood stardom. In 1979 her autobiography, Self-Portrait, was published by Wyden Books. 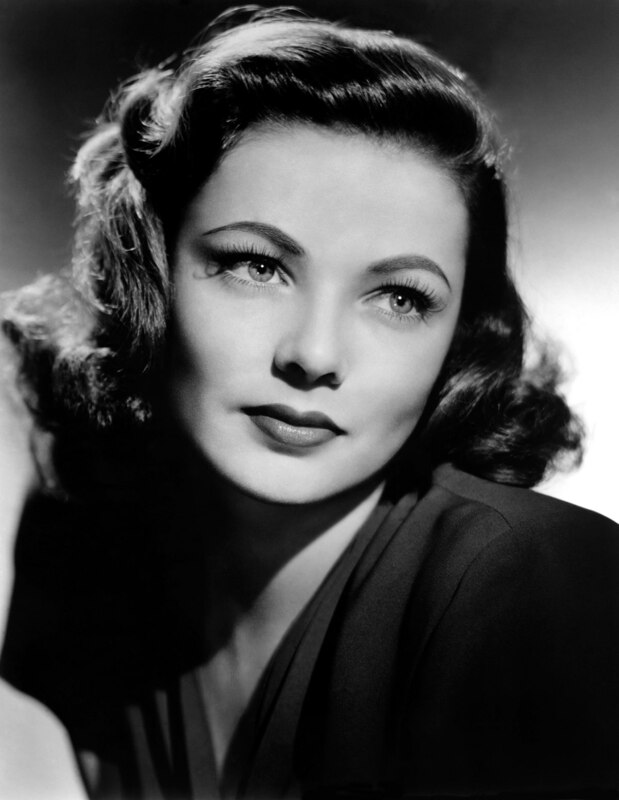 Gene Tierney died of emphysema in Houston on November 6, 1991. She was preceded in death by her husband and was survived by her two daughters, four grandchildren, and one sister. Contemporary Authors (Detroit: Gale Research, 1986). New York Times, November 8, 1991. David Ragan, Who's Who in Hollywood, 1900–1976 (New Rochelle, New York: Arlington House, 1976). Mel Schuster, comp., Motion Picture Performers: A Bibliography of Magazine and Periodical Articles, 1900–1969 (Metuchen, New Jersey: Scarecrow Press, 1971). Handbook of Texas Online, Debbie Mauldin Cottrell, "TIERNEY, GENE," accessed April 23, 2019, http://www.tshaonline.org/handbook/online/articles/fticv.